ARSENAL RLV-AD Anti-Diver (Underwater/Sub-Aqua) and RLV-TB Thermobaric (Fuel-Air) 40mm Grenade Rounds/Ammo for Military Special Operations Forces (SOF) and Special Warfare (SPECWAR) applications. | DefenseReview.com (DR): An online tactical technology and military defense technology magazine with particular focus on the latest and greatest tactical firearms news (tactical gun news), tactical gear news and tactical shooting news. ARSENAL RLV-AD Anti-Diver (Underwater/Sub-Aqua) and RLV-TB Thermobaric (Fuel-Air) 40mm Grenade Rounds/Ammo for Military Special Operations Forces (SOF) and Special Warfare (SPECWAR) applications. 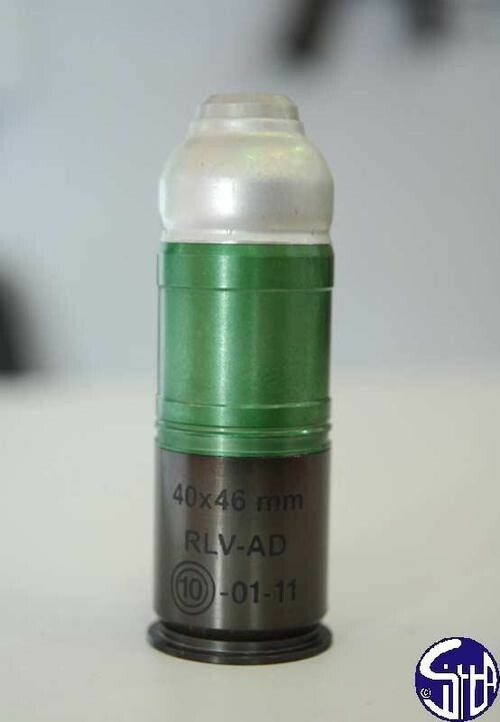 Since DefenseReview (DR) has been on somewhat of a Naval SPECWAR (Special Warfare) bender as of late, publishing information on sub-aqua/underwater rifle ammo and submersible assault craft/vehicles for Navy SEAL missions/operations, it's only appropriate that we at least mention some new specialized 40mm (40x46mm) grenade rounds that ARSENAL JSCo. 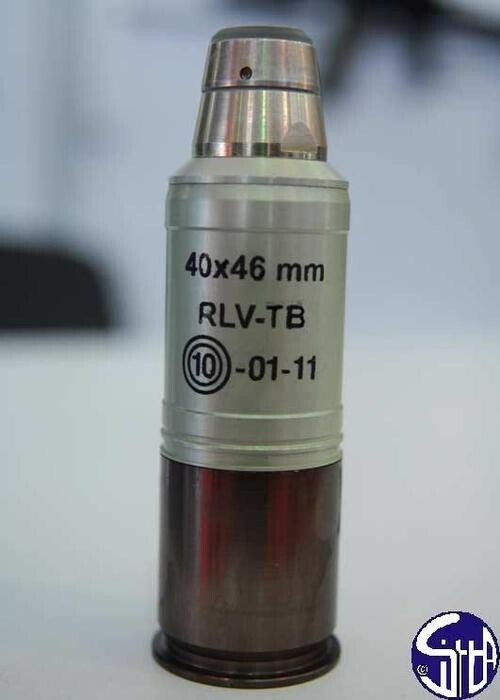 of Bulgaria is manufacturing, specifically the Arsenal RLV-AD anti-diver and RLV-TB thermobaric 40mm (40x46mm) grenade rounds. The Arsenal RLV-AD anti-diver (sub-aqua/underwater) 40mm grenade will detonate at a depth of 5 meters (5m), kill everything up to 15 meters (15m) out, and injure everything out to 30 meters (30m) with its underwater shock wave. The Arsenal RLV-TB thermobaric round packs 100 grams of TBC-2 thermobaric compound (fuel-air explosive) for lots of "air-blast and thermal emission" goodness, and is designed to kill and/or injure targets inside enclosed spaces like structures (buildings and homes) and caves. Both grenades should be compatible with 40mm genade launchers like the Milkor M32A1/Mk14 Mod0 MSGL 6-shot revolver-type 40mm MGL (Multiple Grenade Launcher), which Defense Review has actually test-fired at the range (launcher, not the new Arsenal rounds. The combined Milkor M32A1/Mk14 Mod0 MSGL/Arsenal RLV-AD/RLV-TB package should be a potent one for any SOF team that requires both land and maritime/marine 40mm lethality. The new Arsenal 40mm rounds should also be compatible with the latest underbarrel-mounted/stand-alone single-shot 40mm grenade launchers, like the Heckler & Koch HK M320 and FN SCAR MK-13 EGLM (Enhanced Grenade Launcher Module) for the HK416/HK417 series and FN MK-16/Mk-17 SCAR weapons (5.56mm assault rifles/carbines/SBRs and 7.62mm battle rifles/carbines/SBRs), respectively, which are both ambidextrous swinging side-load launchers. The Firearm Blog actually beat us to the punch on this one, so DR has to give credit where credit is due.